COHRED works in close collaboration with the RIMAIS network (Ibero-American Ministerial Network on Learning and Research for Health), to strengthen the managerial capacities and knowledge of managers of National Research for Health Systems. The project was aimed at building the capacities of research for health managers. This was done by running three courses, on policies, monitoring and evaluation and the use of results (for more details on this specific project, consult our page on RIMAIS). Dr Luis Tacsan Chen is the Director of the Scientific and Technological Development on Health at the Costa Rican Ministry of Health, and the technical coordinator of RIMAIS. He spoke to us about this network, alongside two of his colleagues. The Scientific and Technological Development Directorate is composed of two units: the Research Unit in Health Management, headed by Ms Melany Ascencio, who is the contact person within RIMAIS for Costa Rica, and the Health Technologies Management Unit, headed by Dr Rafael Porras, who is responsible for the logistics of RIMAIS. Why and how was RIMAIS created? RIMAIS was created to promote cooperation between countries and between health ministries, above all aiming at supporting the development of research on health related topics, which had already gained interest in Europe, in Africa and in Costa Rica. In 2003-04, the issue of health research was raised here in Costa Rica, especially regarding its ethical aspects, when it comes to human subjects, and the health minister of that time, María del Rocio Sáenz Madrigal, created a national council on health research and a Scientific Ethical Committee, reviewing studies that were mainly done by the universities. There was then a national concern about this field, that got reinforced at an international meeting in Mexico in 2004 (Ministerial Summit on Health Research) that highlighted the need for health Ministries to participate more actively in the field of research and technology. The same minister attended in 2005 an Ibero-American meeting in Granada and suggested there to create a Research Network. This is how Costa Rica got to hold the permanent presidency of RIMAIS, with support from other partners. Our department, that focuses on Scientific and Technological Development, hosts the technical secretariat as well. The Network is supported by the Spanish Cooperation Agency for International Development (AECID) and the Health Institute Carlos III (Spain). We develop all of the organisational processes, but we naturally count on the support of different technical advisor teams, such as COHRED, who have been one of our main partners through the years. As the representative for COHED in South America, Dr.Francisco Becerra has been working with us, providing technical input. He has attended all the meetings, and has coordinated courses, kept us informed about the health research field internationally, and allowed us, in this way, to communicate more effectively and to be better connected. We work with other relevant partners such as the OPSCR (the Costa Rican Office of PAHO), the National Institute of Public Health of Mexico (INSP), the International Health Central American Institute Foundation (IHCAI), the University of Costa Rica and the Andalusia school for Public Health. What makes this Ibero-American Network exceptional is that it is ministerial, it belongs to health ministries. Why them Because it was important to integrate research as a basic and significant part of its work, in order to establish and strengthen national health topics, the priority setting of health issues and the realisation and follow up of national health agendas. The spirit of RIMAIS is to create an Ibero-American space for health research, with a perspective different from the purely technical one of researchers, as it is the one of the various governments, represented through their ministries of health. In Costa Rica, there have been two simultaneous movements. At the international level, the Ministry of Health of Costa Rica was busy building the RIMAIS, along with external partners, while at the national level, bioethics controls in research and the national health agenda were significantly improved, along with other ministries (such as justice, and science and technology). This is how in 2005-06, we have started to plan all the governmental internal processes, which led to the creation in 2006 of the Scientific and Technological Development on Health, which I lead. COHRED has always worked alongside RIMAIS, both at national and international levels, through Dr.Francisco Becerra. 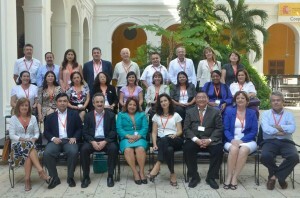 He came to Costa Rica and provided technical assistance in the establishment of a national health agenda, and we also worked together on the topic of a work agenda for the Ibero-American scope, that would facilitate and encourage the setting of national health research systems and agendas. However, this has never been about making an Ibero-American health agenda, the mission is the capacity building for the members of the network so they could internally, within their own countries, proceed to set national agendas and strengthen their already existing health research systems. There have been different projects since then. The first project that has already finished, aimed at strengthening the management of RIMAIS. This project allowed us to have in-person meetings with RIMAIS contact persons, in order to reach agreements, harmony and coordination. Until then we had always met virtually and even though this tool reduces costs, in-person meetings are much more efficient and bring much more commitment and conviviality among the members. We felt after this encounter like if we were a family that was working towards the health research in each country. It was important to do this is order to define the organisational frame of the network. After that, we could easily meet virtually to discuss specific and punctual topics. This project allowed us to organise training on human resources management in health research, which has been developed by Dr Becerra, with the collaboration of the National Institute of Public Health of Mexico (INSP). This course, whose objective was to build country capacity on this topic, brought much empowerment to us. Another project started nearly at the same time, with the perspective of continuing the RIMAIS and providing it with long term sustainability. We have been developing it for 3 or 4 years now. It allowed us to raise different topics that were chosen by the countries and by the network and that are included in the action plan of the RIMAIS. The first action plan was composed of only a few objectives, because of the limited resources that were available. We have only published a book on the teaching of public health in the country members of RIMAIS. Then when the action plan got reviewed, we decided to develop a system of health research indicators for the country members, based on their experiences. All these related projects are being processed and are already quite advanced. The other project was a collection, review and analysis of all there is on ethics in research at national levels. There was also another about innovative projects, which included the training in human resources in health research for countries. 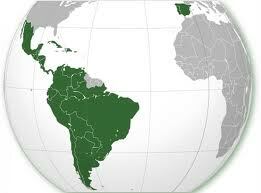 We consider this as a diagnostic of the Ibero-American area regarding these aspects and the idea was to implement actions that would improve the situation in these countries in a second phase, according to our observations. We also collaborated with COHRED on making developing an American-European and Caribbean collaborative system for research for health and development. We are now busy assuring funding for the research, as well as for cooperation in science and technology. The meeting to take place in Mexico in October will represent a next step (EU LAC HEALTH Meeting, 15 – 17 October). Finally, we have worked with the International Health Central American Institute Foundation (IHCAI) on scientific evidence based issues. Indeed, we want to collect success stories in relations to decision making processes that resulted in policies based on evidence. COHRED also provided technical assistance in this area, with Uruguay and Honduras for instance, where Dr Becerra has worked directly, along with Dr Mario Tristan from IHCAI, for the establishment of health policies and the review of good practices in health research. The final product of RIMAIS is an action plan that is being developed. This will be from the perspective of capacity building and sustainable development, aiming at the establishment of national health research agendas in order to solve the health problems that are specific to each country. I would say that the concrete products that were delivered so far by the RIMAIS is the empowerment of people that can serve as seeds in their countries, who now have a much wider vision, with a national and systematic focus on how to approach health research and their agenda, for example by being able to follow up, monitor and evaluate this.